The Samsung Galaxy Note 9 — one of the most anticipated phone announcements of the year — is just around the corner, with an official reveal date set for August 9th. And as is usual with Samsung flagships, we already know pretty much everything there is to know about the Note 9 a good few weeks before its release. Leaks over the past month have already revealed the price of the Galaxy Note 9, the device itself, and the all-new, Bluetooth-enabled S Pen, which will be the major differentiating factor between the Note 9 and the Note 8, functionality-wise at least. 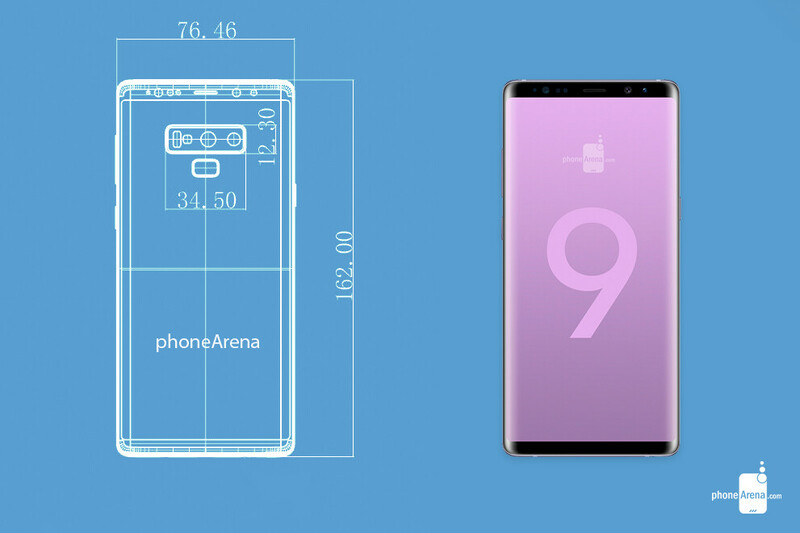 We even managed to get our hands on some CAD drawings of the Galaxy Note 9, which have revealed the device's dimensions. As we'd already expected, it is almost the same size as its predecessor, the Galaxy Note 8. Seems like this year, the Note 9 will be more of an iterative upgrade over last year's phablet, much like the Galaxy S9 and S9+ were refinements of the formula established by the S8 models last year. As far as bezels go, there won't be a big difference between the Samsung Galaxy Note 9 and the Note 8. The Note 9 has a thinner bottom bezel, but not by much, and that's pretty much it. 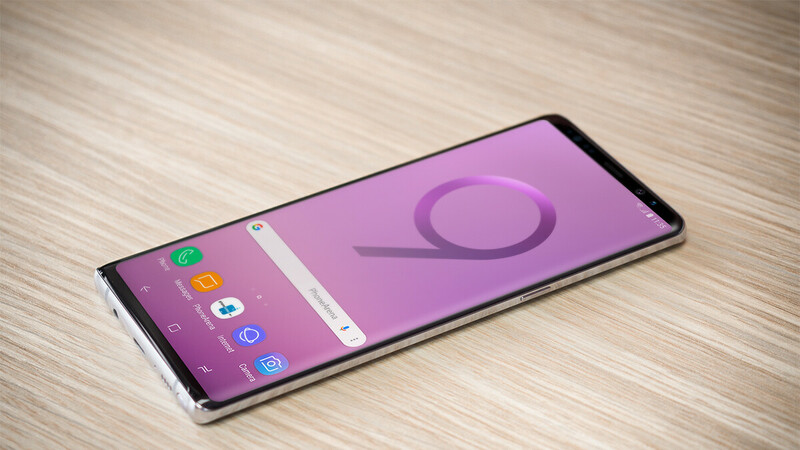 But even though the design will be similar to last year's, the Note 9 will feature a functional upgrade over its predecessor in the form of a revamped, Bluetooth-enabled S Pen. If this will be enough to make the Note 9 stand out, remains to be seen. Some of the rumored new S Pen features include remote music playback control, using the S Pen as a remote camera shutter, unlocking the Note 9 when the stylus is out of the device, and improved AirCommand integration in different apps. To learn more about the new S Pen, check out the stories below. Disclaimer: The images featured in this material have been made by PhoneArena and are based on preliminary information about the respective device(s), such as, but not limited to, factory CAD blueprints and live photos of the device(s), or accessories thereof. As such, the images found herein may not be fully representative of the final design of the device(s). You mean too late? We have know this for months now? It is still too big. Oh come on, 162 mm? It is as big as your head. It could not even fit comfortably in any pockets. Not everybody is that tall. The specs are of course very good as usually, the rumors says it is going to rock a 4000 mAh of battery. This is also good! Clearly it's not for everyone, but the Note has been one of the biggest phones available since its inception. If you don't like it, there are plenty of smaller alternatives out there. Making the bottom bezel thinner than the top just makes it look it's upside down. If anything, the top bezel should be thinner than the bottom one. Glad they are making it a little bit wider. These stretched ultra tall, super thin phones aren't really making phones easier to use. Sure it's a little easier to hold in the hand, but you still need 2 hands to interact with the device. But Samsung is the king of the one-handed mode. I use that all the time on my Galaxy S9. The Note 9 will for those who still rocks the Note 5 and the Notes before it and who still love the Note series. 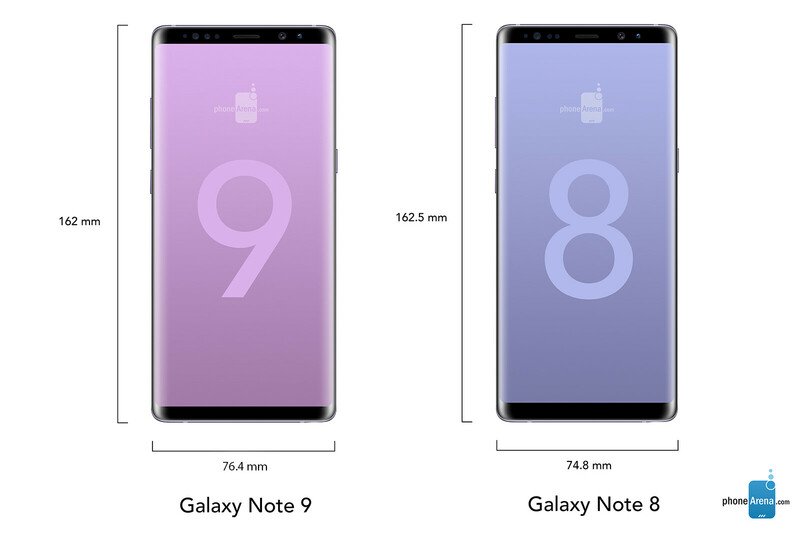 I think Note 9 will sell less than the Note 8. I wish Samsung would sell it at 800 USD. Considering almost every other Android OEM has the same policy, your comment makes little sense. My first wm phone screen was 2.8 inches. Watches are getting that big now. I don't mind little bigger as long we can hold them easier then a box of kd dinner. Wait. Nevermind. What is the flat width of the screen? That is the only part usable by the s-pen, so the only part important for a Note.